This week, I came across an endearing video on YouTube. 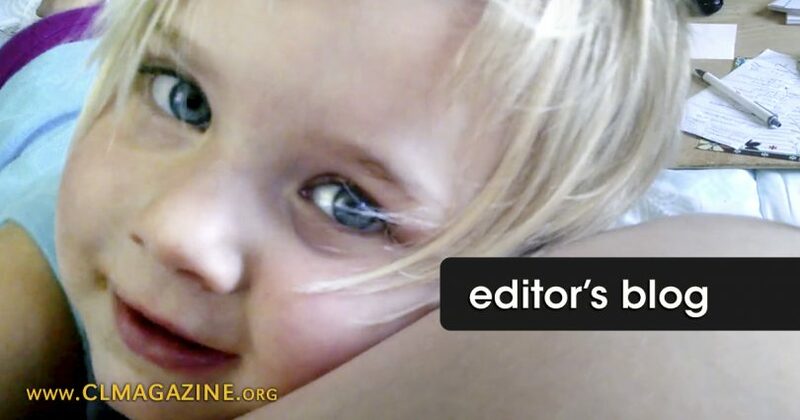 A mother’s preborn son, Bradbury, had the hiccups, which served as an excellent occasion for Bradbury’s sister to bond with her brother and experience what it means to be pro-life. It’s not rocket science. A child is a human-being from conception. Acknowledging the autonomy of a pre-born baby is a simple and beautiful way to teach an extra-womb [born] child that the chilling culture of death promoted by our society through abortion and euthanasia is a violation of human rights. Keep it simple, be truthful, and teach your children well. It was a charming video with a simple and good message. The grass was green, the sun was shining, and everything was nice…then this person with the screenname “Steve True” showed up and decided to pollute the comment section with gratuitous negativity and some well-known pro-abortion drivel. The zeal of some pro-aborts is astounding. Why can’t Steve True just let a nice video of a mother being a mother to her children exist without launching into a troll-like pro-abortion diatribe with his comments? How can watching a pregnant mother talking to her little girl inspire such uncalled-for and nasty comments? The Steve Trues of the world are like rambunctious kids who stomp on and destroy other kids’ sandcastles. At times, it almost seems like they cannot tolerate anything authentically good or beautiful. For me, the most disturbing of Steve True’s comments is this one: “Pro-Choice YOU AS THE MOTHER DECIDES.” Notice that he does not say, “You as the host of a clump of cells decides,” “You as the carrier of reproductive byproduct decides,” or anything else that reflects the ridiculous unscientific positions pro-aborts often push. No, he correctly uses the word “mother” in his unprovoked rant. You see, despite their endless rhetoric and avant-garde linguistic gymnastics, pro-aborts, at least on some level, know that a pregnant woman is a mother…the mother of a child. They also know, at least on some level, that abortion means ending an innocent preborn child’s life…and they typically become quite angry when reminded of these simple truths, as the ironically-named “Steve True” has demonstrated.